The Bosco di Malabotta is one of the very few intact natural forests in Sicily. The northern part is clayey, while the southern part is characterized by limestone rocks. Those who love being in close contact with nature will find here a little piece of paradise. 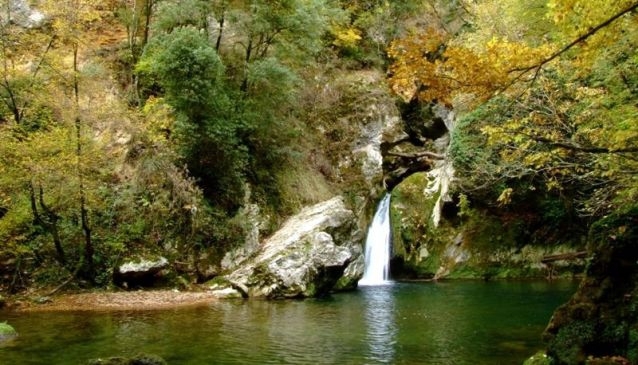 Pine trees, hazel bushes, beeches, and oak trees, hawthorn thorny broom and wild roses, weasels, martens, wild boar and prowl foxes, hikers and nature fans could spend some pleasant hours discovering the Sicilian forest wild life. Ornithologists and bird buffs can spot eagles, hawks, kestrels, buzzards and peregrine falcons. It is a wonderful green place with slow flowing rivers and creeks, a gently blowing breeze and little animals peeking from the undergrowth. A walk through the forest can be easily combined with a visit to the charming Medieval town of Montalbano Elicona.